IF YOU ARE LOOKING FOR A LOW-COST HIGH-QUALITY AMERICAN MADE LIFT–YOU HAVE FOUND IT !!! Our USA MADE Radlift Black Max and Red Max car lifts. Max-Savings on a Quality Autolift. We manufacture this lift in our 40,000 sf factory in Burleson, TX. Our fabricators and welders are US Citizens and we use American Made Steel. This is not a cheap & unsafe Chinese import. There are any number of accessories such as Caster Kit, Decks, Key Operated Switch, etc. available for custom packaged car lift. Let us know if you don’t see it on our website. We are a “CAN DO” company !!! We designed and built the New Black Max and Red Max Series for Maximum Performance and Maximum Savings. We offer it direct from our 40,000 sf manufacturing plant in Burleson, TX. You now have an alternative to buying CHEAP chinese lifts. Own an American Made Lift for an import price !!!! We can also arrange a turn-key install for your lift anywhere in the USA. 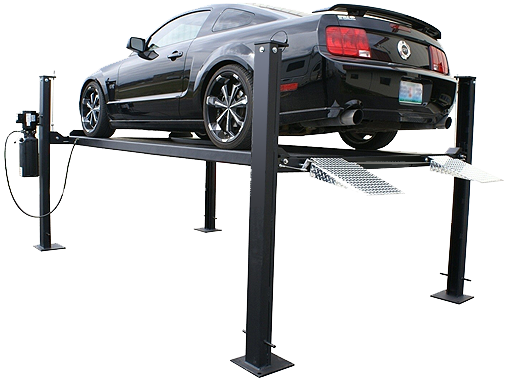 We manufacture a full line of Auto Enthusiast Car Lifts, Commercial Car and Truck Lifts, Material Handling Lifts, and Motorcycle Lifts.